Rinse beans & remove any rocks or shriveled beans. Add beans, broth and seasonings to pot (except salt*), stir. Check beans for doneness-if not soft enough cook a few more minutes. *You can cook the beans in broth or water without any seasoning, or season any way you like. *I was taught that salt and tomato sauce can prevent beans from getting soft so I add after cooking. *We like our beans pretty soft so I cook mine for 28 mins. Adjust the cook time to suit your taste. Beans freeze really well. I portion mine out for freezing. 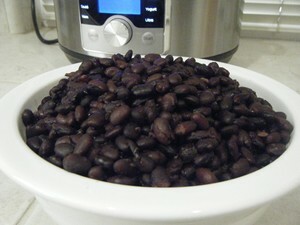 1lb of dry beans makes approximately 6 cups of beans. 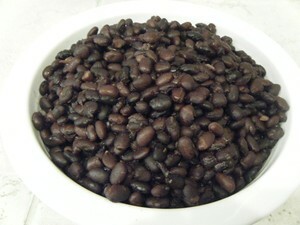 A 15oz can of beans (drained), contains approximately 1.5 cups or 9oz of beans.